Figures 7 and 8 illustrate other positions for breastfeeding. Mother can experiment to find various positions that work for her and her baby. Most importantly, in any position the mother tries, she needs to be relaxed with no muscles straining, and baby needs to be well supported and secure. 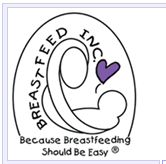 The beginning of breastfeeding is a time for learning and practice and is followed by adjustment and comfort. Mother and baby will soon know exactly what to do without even thinking about it and will have established a firm foundation for their nursing relationship. 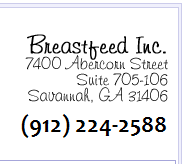 Breastfeeding mothers often have questions about nutritional needs during breastfeeding. The content of human milk varies only slightly among mothers regardless of their diets. Ideally, mothers of babies should eat a balanced, varied diet emphasizing nutrition-dense foods in as close to a natural state as possible. A perfectly balanced diet is not necessary; however, when needed nutrients are not eaten, any mother may experience fatigue and reduced stamina. The following information will give guidelines for recommended daily allowances, suggestions for quick snacks and simple meal planning, foods to avoid and special dietary needs.